South Dakota Public Broadcasting has created this privacy statement in order to demonstrate our firm commitment to privacy. 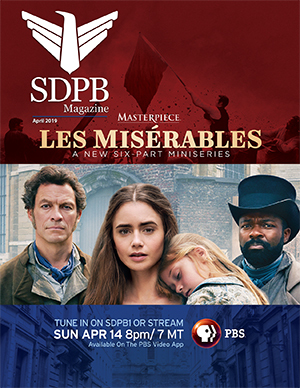 The following discloses our information gathering and dissemination practices for this website: SDPB. When you use our digital platforms, we may automatically recognize information like your IP address, operating system, what type of device you’re using, geotargeting information (what geographic area you’re in), and your user behavior (e.g. how long you stay on the website). In addition, SDPB uses third party vendors that provide services for our digital platforms (e.g. analytics) which may each use their own cookies and web beacons as part of our digital platforms. This site contains links to other sites. SDPB is not responsible for the privacy practices or the content of such Web sites. Children's Guidelines: According to the answers that you have chosen, your Web site meets the guidelines of TRUSTe's Children's program. Choice/Opt-Out: Our site provides users the opportunity to opt-out of receiving communications from us and our partners at the point where we request information about the visitor. SDPB's privacy statement was updated 12/21/2017 to include language related to the collection of demographic and interest data.